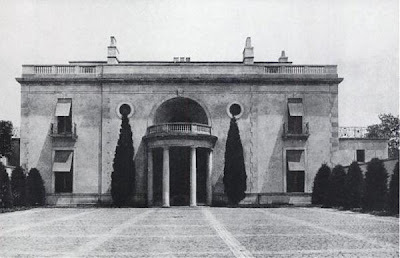 'Oak Knoll', the Bertram G. Work estate designed by Delano & Aldrich in Mill Neck in 1916. Work was the president of B.F. Goodrich Company and had Billy Delano design him this residence atop a hill with a view of Oyster Bay. 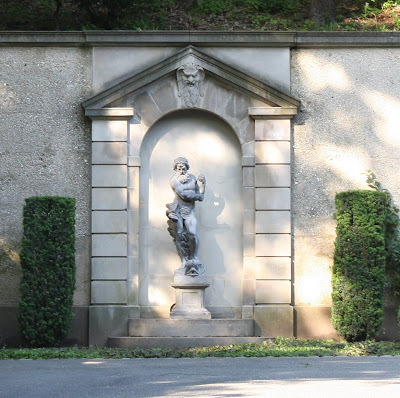 The formal gardens were also designed by Delano. Click HERE to see 'Oak Knoll' on google earth. 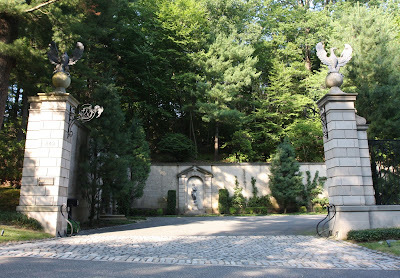 The front entrance and courtyard with numerous statue niches and wrought iron. Click below to see 'Oak Knoll' in a 1966 aerial shot. No no, it's still intact, click the google link and you will see what it looks like now. The property has been reduced but the house still stands. This has always been one of my favorite North Shore estates. Does anyone know if plans for the second floor have ever been published? I have seen those for the main floor but was always curious about the second. I have had the great fortune to visit with the former owners of this house. The Lady of the house grew up in the home and had the most amazing stories about the old Gold Coast parties. The inside was kept as if it were new. It's an absolutely beautiful home. I used to live there. The house is still in wonderful condition. The second floor has a master suite of 2 bedrooms/baths with a private study and 3 other bedrooms with en suite bathrooms. The grand stair has a fabulous skylight. I have worked there at two separate jobs and owners. The first was with a tree service, Parr&Hansen, when I was in my twenties. The owner was Bronson Trevor at the time. The house and property seemed to be very well maintained. The estate definetly left quite an impression on my young mind! 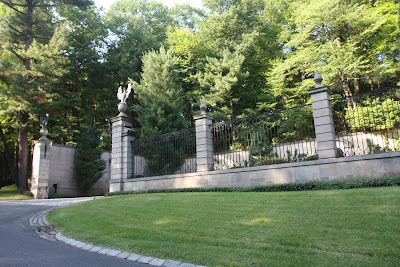 The second time I got to experience the estate was a few years ago in my job working for the gas company. The house has new owners and I seems as if they are trying to maintain it. It did have some damage from a tree falling on it in a storm at the time and a swimming pool was added to the walled garden, which I didn't personally care for, but to each his owne. All in all it is still a beautiful estate with a great setting. Bronson Trevor commissioned me to do a painting for him. When it was unveiled at the manor, I was a guest for a week. He and his wife were wonderful people.